Several years ago, our Pickleball Rocks Team made our first trip to the Canadian National Championships in Vancouver, where we were overwhelmed with the kindness and support of us personally as well as our apparel. Ever since that first trip we have dreamed that some day we could find a way to more effeciently provide the Pickleball Rocks hats, shirts and other clothing to our Canadian friends. Today that dream is coming true…. Today the world famous Pickleball Rocks Team teamed up with the owners of In A Pickle Ltd, Sean McCartan and Leslie Srogen to create Pickleball Rocks Canada. The creation of Pickleball Rocks Canada will give Canadian pickleball players and clubs across Canada, easy access to the world famous Pickleball Rocks branded apparel and club shirts. Said Pickleball Rocks CEO Rocket Grubbs, “The demand from our many Canadian pickleball friends has kept increasing to the point where it just made good sense to find a way to create and deliver the Pickleball Rocks branded apparel from within Canada. Exact terms of the agreement were not disclosed, but key ingredients of the new agreement included that In A Pickle Ltd will own and operate Pickleball Rocks Canada and distribute Pickleball Rocks apparel through various Canadian sales channels including tournaments, clinics and websites, while Pickleball Rocks USA will provide business and marketing support as well as existing intellectual property assets. In A Pickle Ltd is a privately owned company specializing in providing pickleball training, clothing and equipment all across Canada. Learn more at their Pickleball Rocks Canada Facebook page. 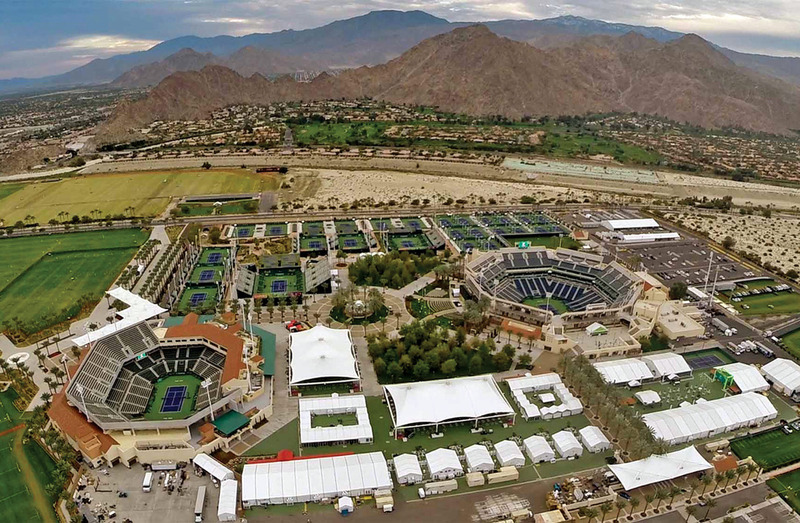 The first USAPA Nationals to be hosted at Indian Wells Tennis Garden was an overwhelming success. From Margaritaville grabbing the title sponsor spot to Indian Wells Tennis Garden’s amazing transformation into the premier outdoor pickleball facility in the world to ESPN rolling their trucks and cameras in for four days, every aspect of the 2018 Nationals showcased pickleball as the fastest growing sport in America. How To Qualify To Be At 2019 Nationals? Simply register and play in any USAPA Sanctioned Regional held from July 15, 2018 through July 15, 2019 or a USAPA Sanctioned Tier 2 tournament held from July 15, 2018 through July 15, 2019.